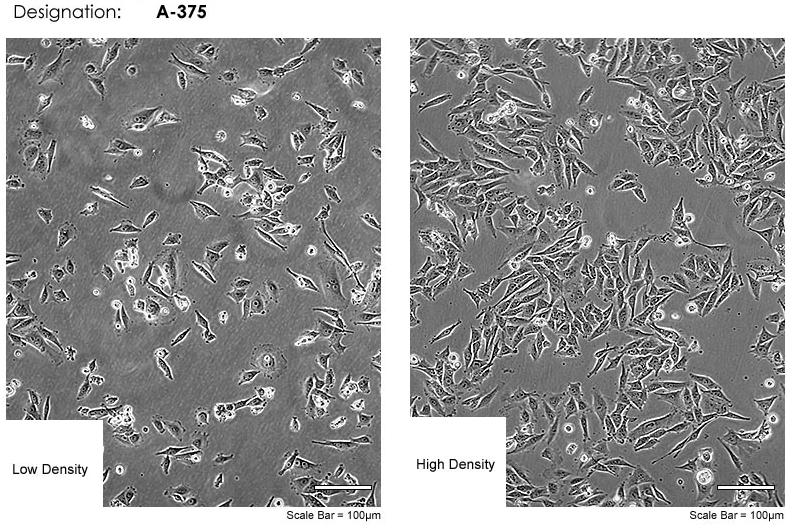 Applications: This cell line is suitable as a transfection host. It is a hypotriploid with a modal number of 62 chromosomes. There are 9 marker chromosomes that are commonly found in each cell, and normal N2, N6, and N22 are present at one copy per cell. The base medium for this cell line is Dulbecco's Modified Eagle's Medium. To make the complete growth medium, add the following components to the base medium: fetal bovine serum to a final concentration of 10%. Volumes are given for a 75 cm2 flask. Corning® T-75 flasks are recommended for subculturing this product. Increase or decrease the amount of dissociation medium needed proportionally for culture vessels of other sizes.